In all that we do, we strive to make responsible decisions for our children and the planet and dressing our little ones in eco-conscious clothing is one way to do that. According to Green America, regular clothing can be problematic for a variety of reasons—it may be non-organic (and possibly sprayed with dangerous chemicals), produced with hazardous finishes and dyes or supportive of unfair and unethical labor practices, among other concerns. As parents, it’s important that we teach our children about ethical consumerism every step of the way, both by buying eco-friendly clothing and skipping fast fashion in favor of used clothing and hand-me-downs. 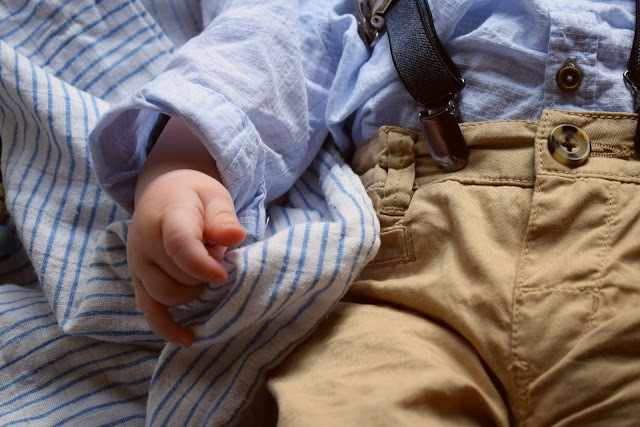 All of the following ethical children’s clothing brands can be purchased second-hand online, helping you double-down on your efforts to support eco-conscious consumerism while also keeping your family’s fashion under budget. Hanna Andersson—With pure organic cotton garments, non-toxic manufacturing techniques and support for small farms around the world, Portland-based Hanna Andersson piles on the charm, style and love for the planet. Launching in 1983 by two Swedish-born designers, the company now makes over 60 percent of its apparel using organic cotton under the OEKO-TEX Standard, which certifies that its goods are free of harmful chemicals. Hanna Andersson is also well-known for its philanthropic approach, offering clothing and donations to children in need around the world. But the best part about this company is their adorable family matching pajamas made with the company’s legendary organic fabrics. Kate Quinn Organics—The Kate Quinn mission is simple: Make super-soft, super-cute organic baby clothes that serve families and the planet at the same time. The company has a steadfast commitment to producing clothing made with 100 percent organic cotton and bamboo, with materials that come exclusively from sustainable farming practices that don’t use toxic pesticides or fertilizers. Kate Quinn’s organic kids’ clothes are certified by the Global Organic Textile Standards (GOTS) and implement environmentally low-impact dyes. Plus, pieces in each line are tested to ensure that they don’t contain any harmful phthalates or lead. Garnet Hill—Born in the frigid White Mountains of New Hampshire, Garnet Hill has been producing quality clothing since 1976, when its founders brought soft English flannel back to the U.S. after a European camping trip. Now with a complete line of clothing for men, women and kids, Garnet Hill takes special care to produce conscious fashion and home goods made with eco-friendly cashmere, merino wool and organic pima cotton. They even make a line of sweet eco-friendly lunchboxes made with recycled PET, perfect for earthy school-aged kids! One word of warning, though: This line is a subsidiary of the Qurate Retail Group, owner of QVC, HSN, Zulily and other companies that may not always prioritize eco-friendly production or fair labor. Winter Water Factory—Not only is Winter Water Factory’s clothing made of certified organic cotton, it’s also made in the U.S. to help enforce ethical manufacturing. The Brooklyn-based design and manufacturing company is unique in that it produces 100 percent of its goods using soft organic cotton, from super-soft baby rompers and jumpsuits to sweet-as-can-be dresses and leggings for toddlers. The company also promises to help reduce the ecological footprint of the entire consumer process, from waste output to packaging decisions. But the best part about this sweet Earth-friendly brand is its amazing approach to fabric design—it’s all about fun graphics, whimsical illustrations and saturated colors with Winter Water Factory! Zara—Who knew that everyone’s favorite fast fashion mall retailer is actually committed to producing eco-friendly, ethically made kids’ clothes? It all started with the 2016 launch of its first sustainable clothing collection, which was made using renewable, eco-friendly resources like organic cotton, recycled wool and renewable wood fibers. Beyond that, the Spanish retailer runs out of offices that consume only renewable energy and are certified Platinum LEED by the Green Building Council. Zara still has a long way to go to make its company as ethical and Earth-friendly as many of the other brands on our list, but it has shown serious initiative in improving the conditions of fast fashion. Patagonia—The Ventura, Calif. outdoor clothing company Patagonia was eco-friendly way before it was cool. Founded in 1973, Patagonia has long been a proponent of the buy it for life movement, offering high-quality goods, generous warranties and repair services that combat wasteful fast fashion. All along the way, the company—which self-identifies as an “activist company”—has given back tremendously, handing over 1 percent of its total sales to environmental groups since 1985. It’s also entrenched in grassroots environmental efforts, from defending clean air programs to helping preserve important natural lands. Plus, all Patagonia apparel, including their adorable kids’ gear, is made with sustainable materials, like hemp, organic cotton, recycled down and recycled wool. Under the Nile—Fair trade practices plus organic baby staples equals St. Louis-based Under the Nile. Every facet of this baby clothing manufacturer works to support eco-friendly and ethical manufacturing and consumerism—from the high-quality organic cotton materials that come from a biodynamic farm to the production process at a Certified Fair Trade Facility. All Under the Nile clothes are produced using sustainable, natural fabrics in Egypt (hence the name Under the Nile) in a facility committed to offering workers safe working conditions. The company’s manufacturing facility, called SEKEM, has been so successful that it earned the Land For Life Award from the United Nations Convention to Combat Desertification (UNCCD). If you’ve taken some time to browse collections by these special brands, you already know that with soft, organic cottons and ethical manufacturing comes a higher price tag. Unfortunately, manufacturing and designing for the greater good requires more funds, so the cost is passed on to the consumers. One of the best things you can do to keep costs low without supporting unethical, wasteful clothing is to buy clothing from these brands second-hand! Don’t forget to pass them down to keep them in play for generations!